It’s Autumn, and finally the temperature in Melbourne has dropped a little! 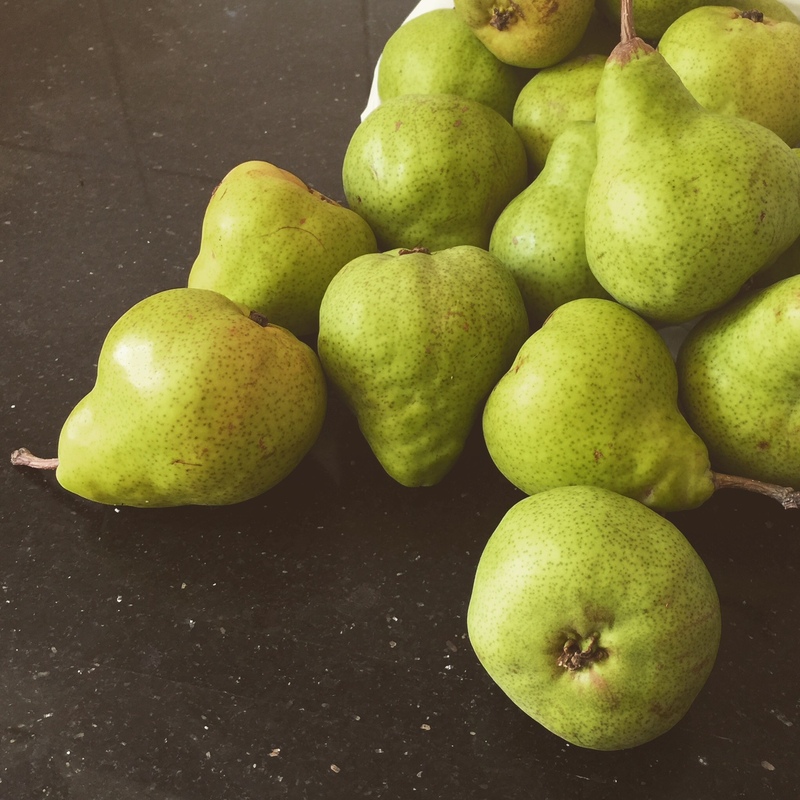 I was lucky enough to receive a windfall of Barlett pears from my neighbour, however I noticed that the markets are full of these pears at $1 a kilo, so it was obviously a bumper year for them this year! I’ve had my eye on this flavour combination for a while and had a couple of ideas that I wanted to throw together. Hope you enjoy it! Make this indulgent dessert for sweet-tooths, on the day and dish it up warm, with double cream or good quality vanilla bean ice cream. Deliciously indulgent. Sticky toffee, pear and ginger cake. Place butter and brown sugar into a small pan. Place over medium heat and stir until smooth. Peel and slice pears. Place them in a fan pattern into the sauce to cover the base of the pan. 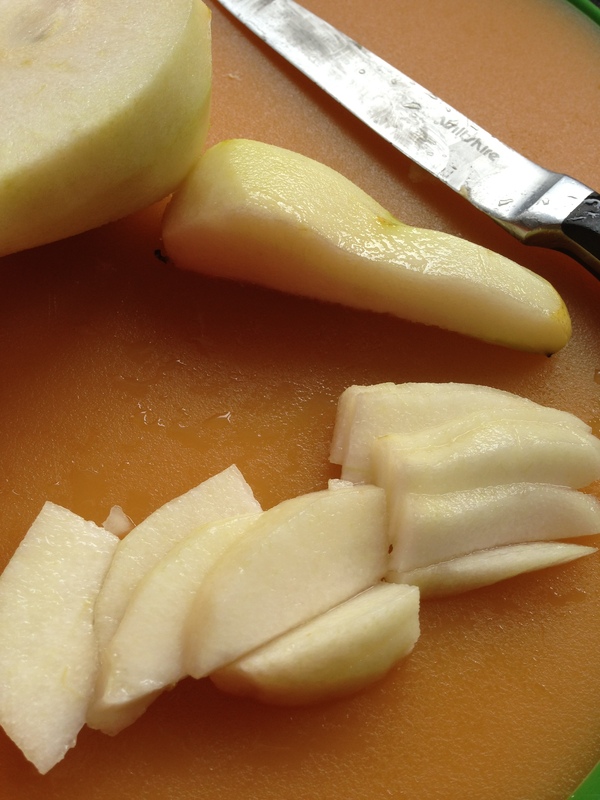 Chop ginger coarsely and sprinkle evenly over the pears. Roughly chop dates and place in a bowl. Pour over boiling water and then add bicarbonate of soda. Mix together and leave for 5 minutes. Add eggs and vanilla and beat until well combined. Use a food processor, hand held blender, or hand beater to whizz the date mixture until it is smooother but still a little chunky. Add 1/3 of the flour to the butter mixture and beat until just combined. Add 1/2 date mixture and beat until just combined. Repeat with flour and then the date mixture. Add the last of the flour and beat until just combined. A light touch with the mixing will ensure your cake is nice and soft! 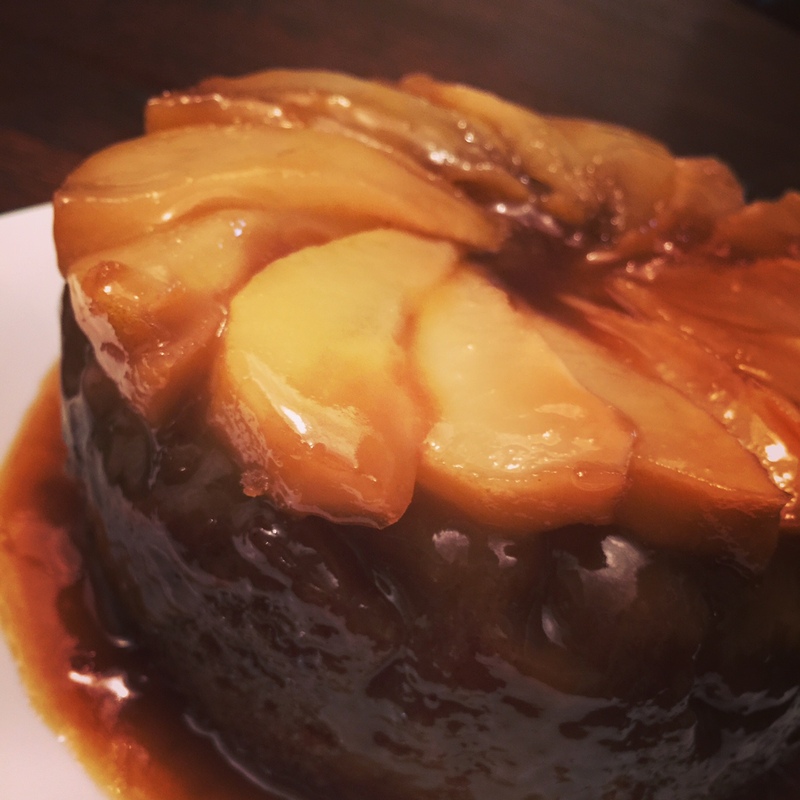 Spoon cake batter gently over the pears. Bake 8 inch pan for 50-60 min at 175C or until skewer comes out clean when tested. Invert onto a plate to serve while it is still warm and serve with double cream or good quality vanilla ice cream mmmmmmm. Enjoy! Market fresh Aussie passionfruit mmmmm! C’mon, I’ve baked for many, many (toooo many!) years, and yes, I’ve owned and loved using a microwave for at least 25 years. But, babe! You know it, I know it, how come everyone on Masterchef doesn’t know it? YOU CAN’T BAKE A CAKE WITH A MICROWAVE. What is going on people? I’m testing it out, ‘coz I have been sucked in by the hype, over 1500 people have rated it 4 stars, and I NEED to know!! How ironic that my ramekins were too big and I had to use teacups! Texture was a little dense and rubbery but quite acceptable to eat warm with cream and berry compote as the recipe suggests. Unrefined sugar substitution suitable. Raw castor sugar or Stevia would work well. Recipe as written, is nut free. What would I change? Hmmm, probably it’s name! It is a great warm pudding or mug cake but would I call it a sponge cake? Probably not. It also needed 50-60 seconds in my 1100 watt microwave on high, not the 40 seconds as written in the recipe. The flavour was great and would definitely have been great with the Chantilly cream. I personally wouldn’t want to serve the passionfruit pudding with berry coulis though. To ‘Bliss’ it, I would serve it with double or triple cream or even a custard. I think a matcha infused custard with white chocolate, would have been gorgeous with this little pudding! This recipe has definitely not convinced me that I can make cake in a microwave. I hope you have enjoyed this recipe review, and found it useful? Would love to hear what you think. Have you dared to try it? I’ve put it off for years but the time for testing and tasting is finally here! ‘Chocolate beetroot cake,’ has been a phrase that has both intrigued and repulsed me for YEARS! No, I just couldn’t do it. So many opportunities to do a trial and so many reasons to not go there. Please, don’t get me wrong, I am a big beetroot fan in its many of its guises; most importantly; a burger is no burger of mine without it. But, no matter how many people said a beetroot chocolate cake was all kinds of wonderful, I just couldn’t make the leap….until today. When I decided to listen to my family and post reviews of the recipes I tested, I knew there were 2 recipes that I have avoided for decades yet, never been able to let go of. Time to make the plunge; this Moist Chocolate Beet Cake recipe is originally by Nigel Slater but I found it via David Lebovitz website. I followed the recipe to the letter, although I did not have an 8 inch springform so used a 7 inch and had batter left over. You definitely need an 8 inch and in fact I probably could have used a 9 inch pan. Sank a little while cooling. Not a big deal. Maybe another 5 minutes in the oven? Gluten free substitution suitable. I would feel happy to bake this cake with a gluten free flour substitute. It may have a slightly gummy feel to it though. Another option would be to substitute half almond meal and half gluten free flour. I feel all almond meal would change the texture too much. Unrefined sugar substitution suitable. This cake would actually take on a whole new complexity of flavour using coconut sugar or rapadura sugar. The caramel flavours of these sugars would really give you a lovely depth of flavour. To avoid grittiness, process the sugar until it is finer before you use them. Raw castor sugar or Stevia would also work. Not dairy free. The flavour that is added by this amount of butter would make it difficult to change out for anything else. What would I change? As a chocolate beet cake it was beautiful, I wouldn’t change it at all. Although, I found the flavour of beetroot had mellowed even more after 2-3 days.Since I am a big believer of allowing chocolate cakes time to develop in flavour, I would even consider making it 2 days ahead of serving. I personally, would consider cutting the beetroot with some green apple to help smooth the transition between chocolate and beetroot. But hey, that’s just me! To ‘Bliss’ it, I would serve it with sour cream on the side to give it a punchier flavour and a creamier accompaniment. Creme fraiche was a little bit delicate in flavour and texture for me and I didn’t really think the poppy seeds did anything for it. I would consider a really airy cream cheese frosting for it as well, but it would definitely have to be whipped within an inch of its life! Wow, so there it is; Nigel Slater’s Moist Chocolate and Beet Cake. What a great start! I hope you have enjoyed my first recipe review, and found it useful? Would love to hear what you think. PS if you are looking to get a springform pan, it is definitely worth spending a little bit more money to get one that won’t leak! This is a link to Amazon.com, for a particularly highly rated tin by Kaiser, that won’t break the bank. Allen’s Jaffas, staple of all Aussie kid’s lolly bags; that was all this cake was going to be about.Simple to make, accessible and relatable, that’s what we want, isn’t it? But, as I wandered around the market, all I could see were ‘slurp-alicious’, juicy, sweet navel oranges. Fresh juice and zest with Dutch cocoa, were always going to be a part of a Jaffa cake but the more I thought about it the more I needed to make some home made, fresh orange juice jelly to give it zing. I smothered it all in dark chocolate ganache and KAPOW :), I had it. 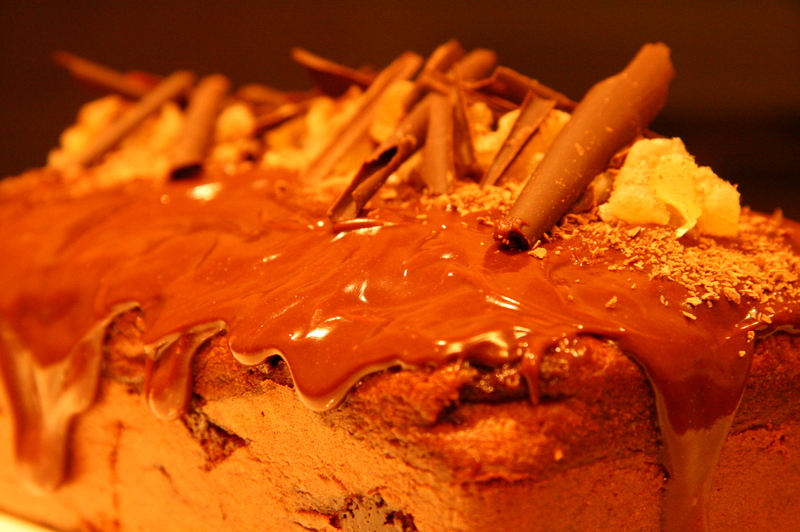 Rich, fudgy, full of real, fresh, flavours. 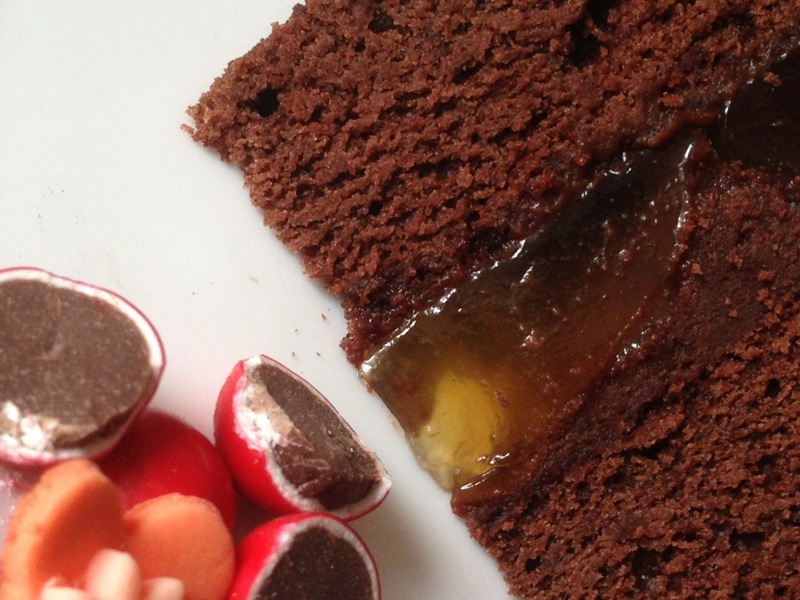 Zingy, fresh orange juice jelly cuts through a rich and fudgy, jaffa flavoured, chocolate cake. Now I had caked myself into a corner; with all this real, home made style flavour and texture; how was I going to incorporate my bag of supermarket lollies? Jaffas are most notable as being the confection of choice in the day, to be rolled down cinema aisles (yes, pre-carpet!) and thrown at people from the balconies?! Besides eat the whole lot myself I just couldn’t see how I was going to use them. Please don’t get me wrong, I love my supermarket lollies, or else I wouldn’t have bought them to make the cake in the first place, but I was feeling really stuck now. 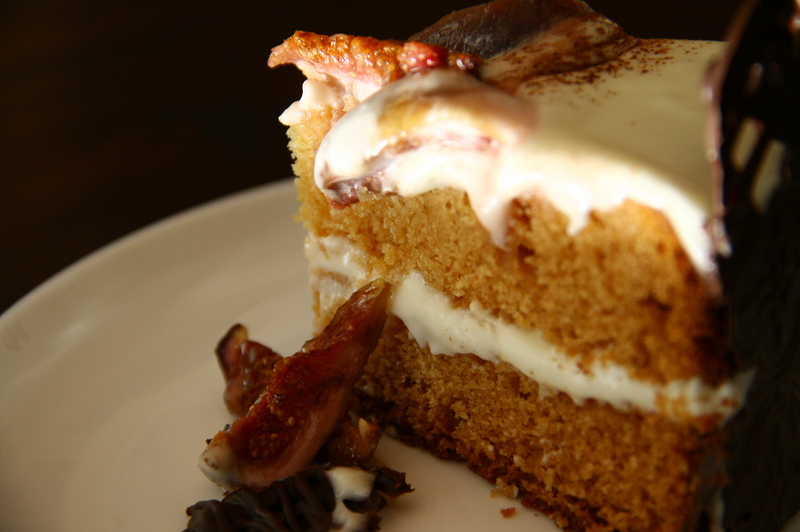 As I was playing around, a little skirt of Jaffas started building up around the cake and suddenly…. 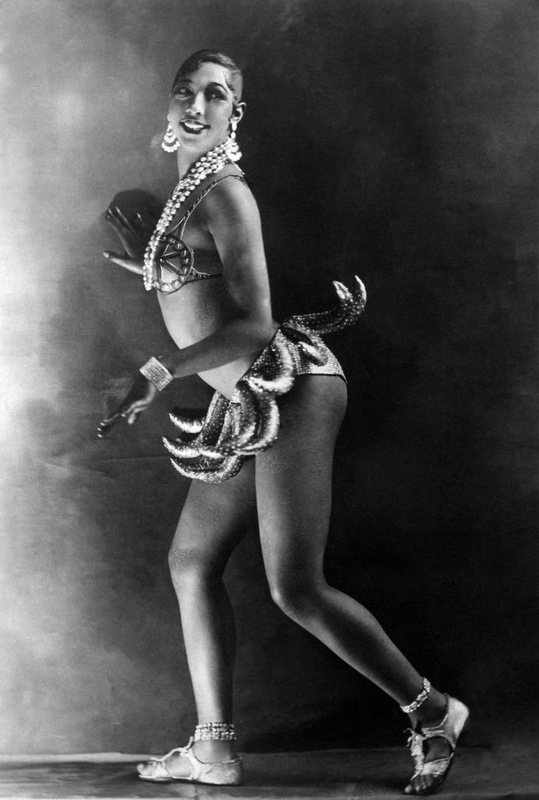 I thought of Josephine Baker! Her incredible style, grace and beauty contrasted with her sense of humour and willingness to do (and wear) the bizarre and ridiculous; the idea just somehow seemed to work with this juxtaposition of home made and commercial flavours and textures. 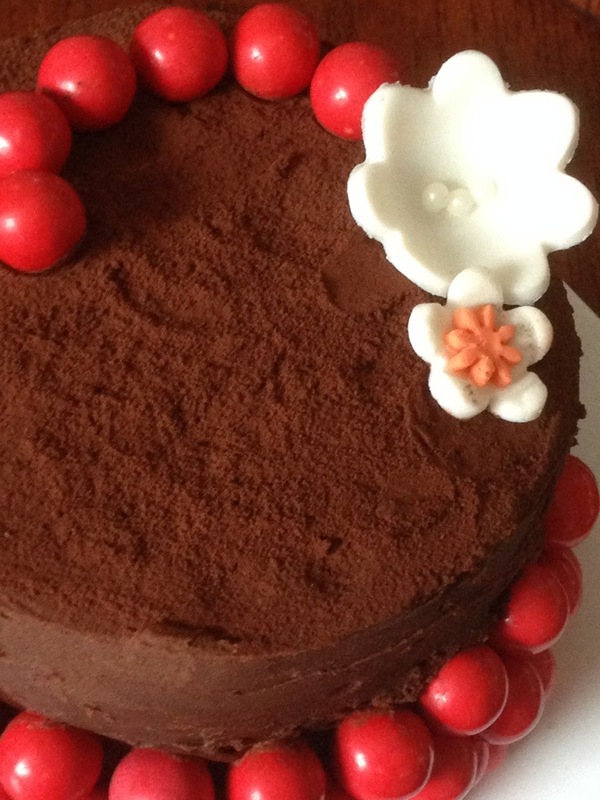 Call me mad, but I topped the cocoa dusted cake with a little kiss curl of Jaffas and some pretty flowers, and thought it worked great! 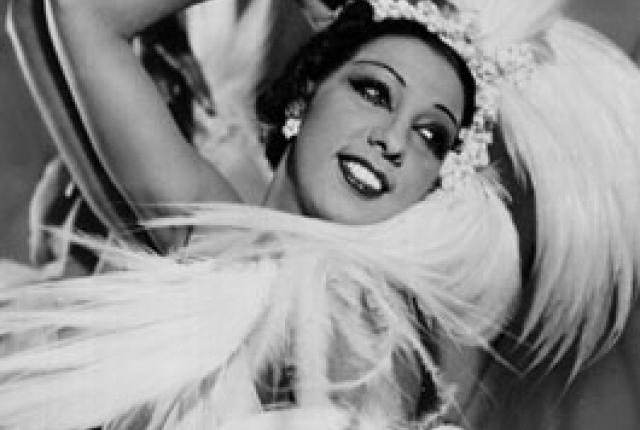 All in the Josephine Baker tradition of beauty and artistic expression through the quirky, and the contrasting. Crazy combination that works… I think?! 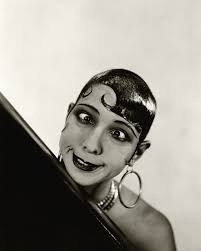 Kooky, quirky and humorous Josephine Baker. What would she think? 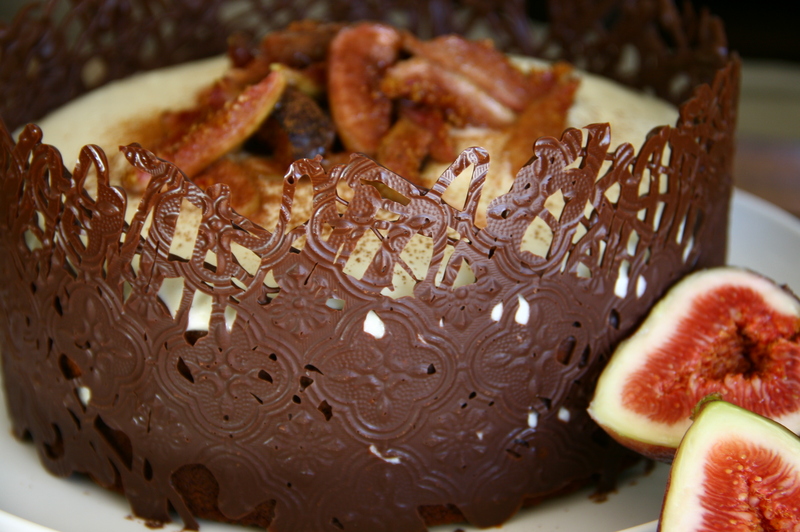 Bliss’ delicious Josephine Baker Jaffa Cake, what do you think Jo Jo? Feel free to drop me a comment if you would like me to post the recipe! Love, Sunshine and Bucks Fizz. 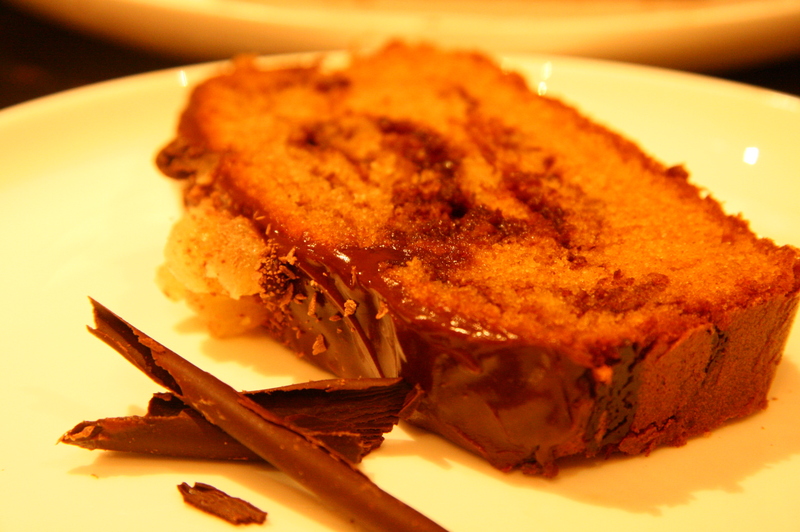 Champagne Syrup, Orange Cake Recipe. Relaxing on New Year’s Eve with a family barbecue enjoying the sunshine and fresh air. Looking back on 2013 there has been so much to be thankful for, and to celebrate before I move into the new and unknown. 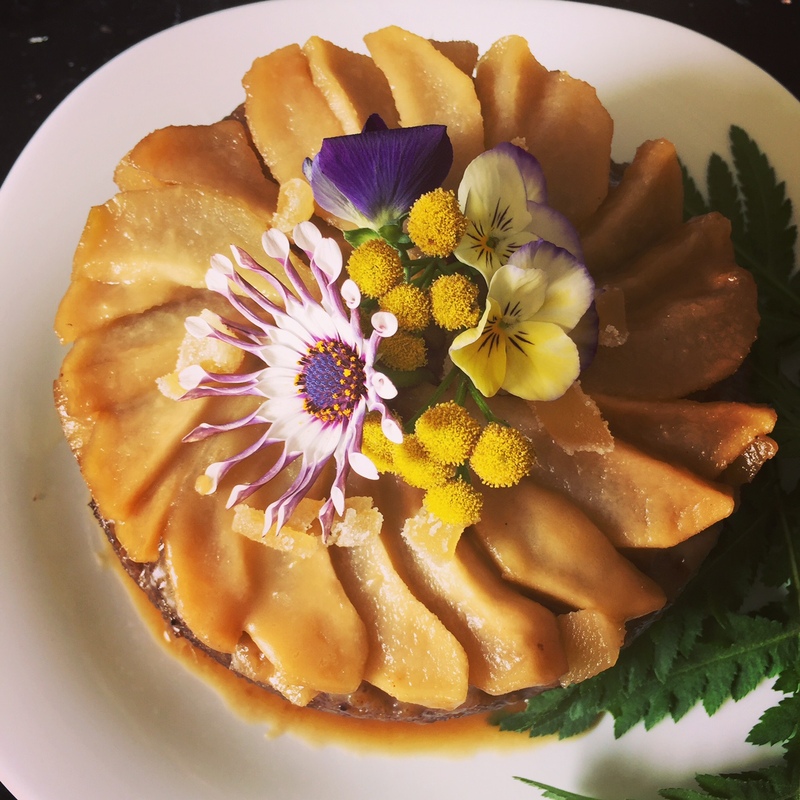 Yes, my full time job, like many of us, eats into the time that I would rather spend on baking, creating and experiencing life, however without the balance, would I enjoy and look forward to these activities as much? The last couple of years have been pivotal, in deciding to keep ‘Bliss’ a fun creative outlet instead of seeing it as a business. Certainly as 2013 comes to a close, it has definitely proven to be the right decision to make. As the great masters of philosophy Andy Hill and John Danter wrote in that history making song, I made my mind up! Bottoms up then! No matter how nicely a glass of Veuve may go down at the stroke of 12. You know, a Yellowglen with orange juice, and a quick 80’s pop song may be all you need to put a smile on your face and cheer in 2014! No, really this look was awful even in 1981!! Grease and lightly flour a deep 20cm round cake tin. Cream butter, orange rind and sugar until light and fluffy. Beat in egg yolks one at a time, until combined. Stir in half the sifted flour and half the buttermilk. Then stir in remaining flour and butter milk. Beat egg whites in a small bowl until soft peaks form, fold lightly in to cake mixture in 2 batches. Spread mixtures into prepared pans and bake for approximately 1 hr. Stand for 5 minutes before turning onto wire rack. Bring the champagne and sugar to a boil and reduce to about half. Poke holes all over the top of the cake and drizzle over the syrup. 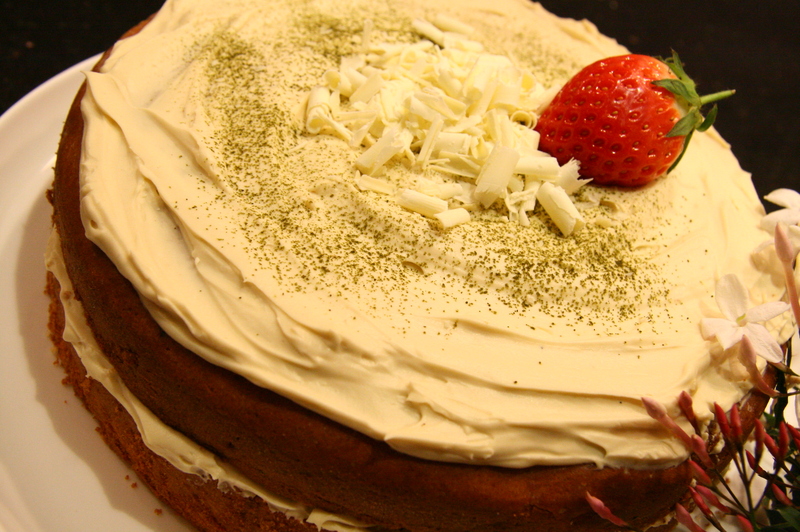 Let syrup absorb into the cake and keep adding as much syrup as you feel you want! This is the basic recipe that I have been working on and as soon as I put together some nice photos over the next couple of weeks, I will revise it. It will take me the next two weeks to work on my presentation!! 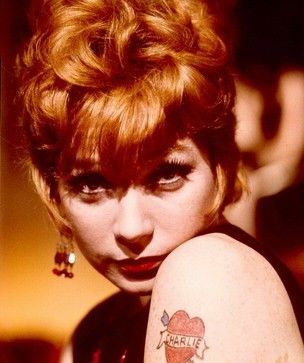 The first time I ever came across Shirley Maclaine was as a sassy, smart talking, lady of questionable repute in ‘Sweet Charity’ and of course, I LOVED her. Hmm, short hair, red lipstick, AND a tattoo. 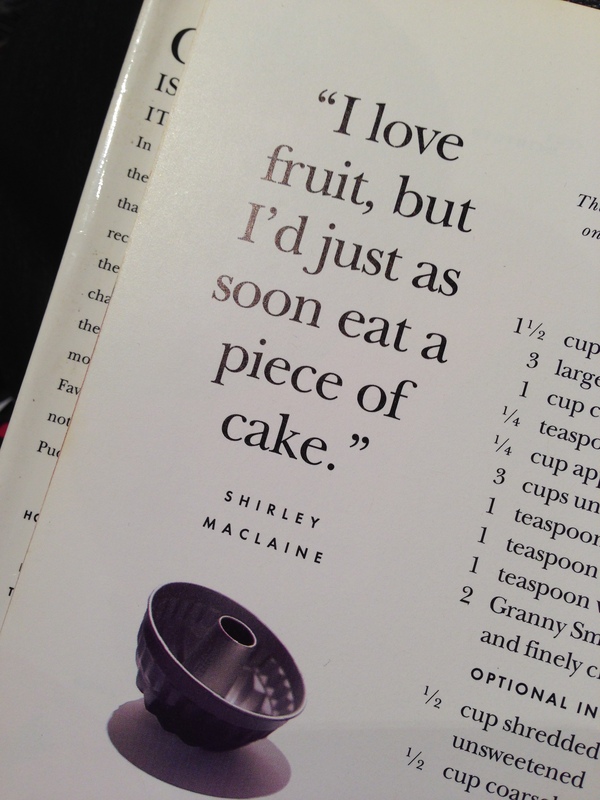 Why couldn’t I be just like Shirley? Julia Roberts may have caused an uproar about morally questionable role models in the ’90s, but way before then, my poor Mum really didn’t know what to do with her little primary school child wanting to be Shirley Maclaine and questioning why it was a bad idea to wear fish net stockings and get a tattoo! Juicy and sweet, Bartlett pears peeled, sliced and ready to go! 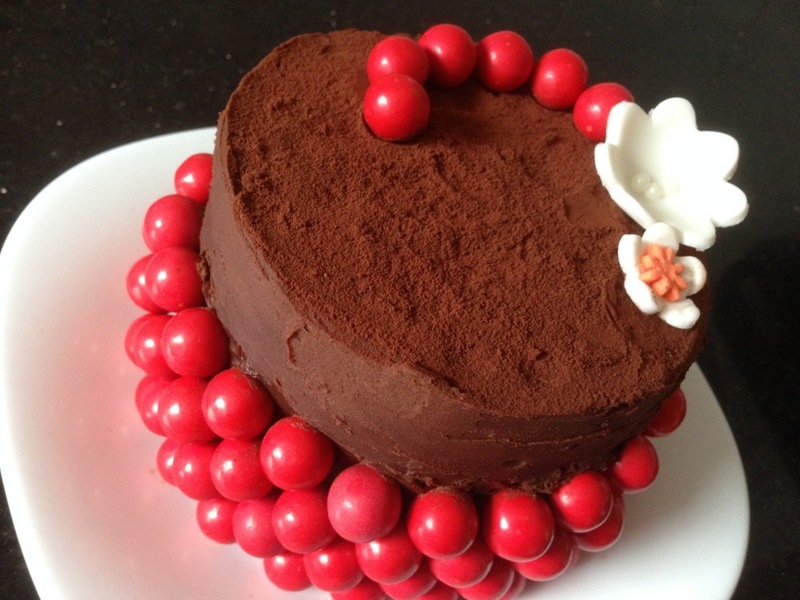 Love it….love being able to play with chocolate cake and even more so when I pick up inspiration from fresh or home-grown produce. Bartletts are not my choice for eating straight up, that sweet, sticky juice, running generously through your fingers, as you try not to make a single handed mess, which inevitably turns into a double fisted, wet, napkin soaked drama; ending in a limp, and soggy mess with an urgent need to find a running tap! Ha ha, maybe the Bartlett pears I am trying to eat for lunch are just too ripe, but for a dessert or a cake, they are my absolute favourites. Suddenly all those sad and sorry, downfalls are in fact, the attributes that make them perfect! Soft and melting, sweetly blessed with juice that flows and flavours everything that it comes in touch with, permeating with a fragrant, slightly caramel aroma that is unmistakable. 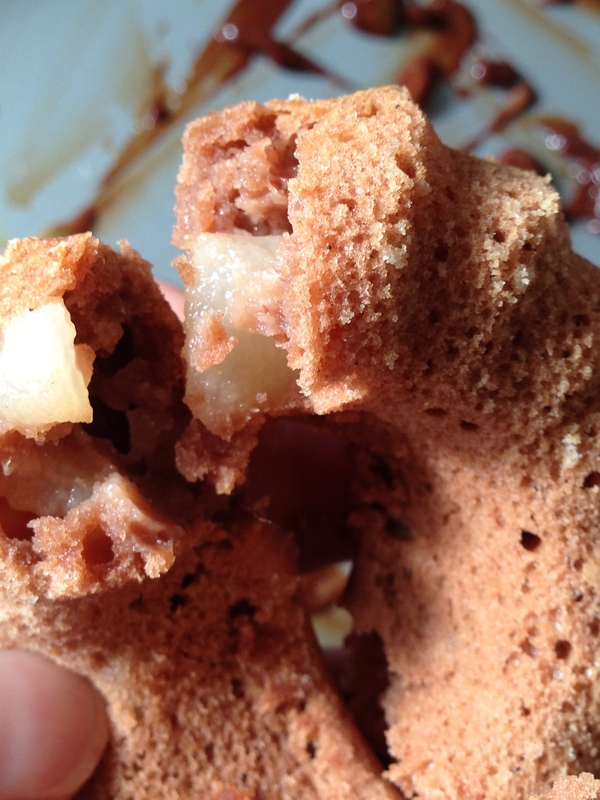 That’s what I like to see, nice chunks of sweet and soft pear surrounded by a soft and light bed of…cake! I wanted to pair (no pun intended!) this luxurious texture and flavour of cooked pear with a lighter cake and decided on a buttermilk cake with just a hint of cocoa, to help the pear juice to be tasted through it. The buttermilk gave the cake a slightly tangy flavour as well, which worked really nicely. However, on its own, I have to say it was not a cake that had me jumping for joy, it definitely needed a little more. Not exactly worthy of the Hollywood aspirations of my childhood! 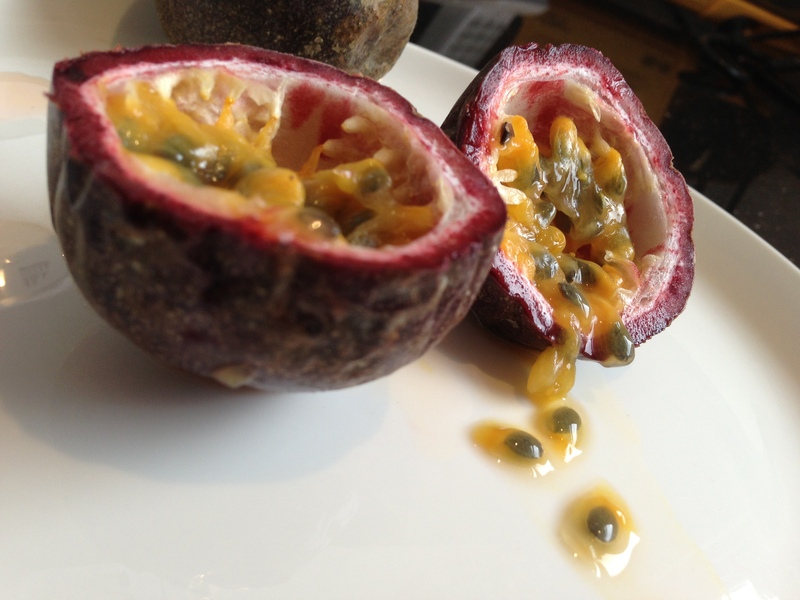 Passionfruit in the middle of winter? They look so good, I just have to break my seasonal rule today. Please step in, passionfruit. It may not be seasonal, it may not be home-grown but by stirring through the pulp of this little purple orb, and dribbling that thick and creamy chocolate concoction over my homely little cakes…yes, you guessed it; Bliss. Do you live in a dream world like I do? In my fantasies, I wake up late, have leisurely breakfasts of gourmet produce under a hanging wisteria bough, that is softly swaying in a warm, gentle breeze. Somehow in this dream I still make it to my local farmers market to stroll at my own pace, stopping to chat about, taste, and spend, without limit, on all the yummiest offerings of the season. 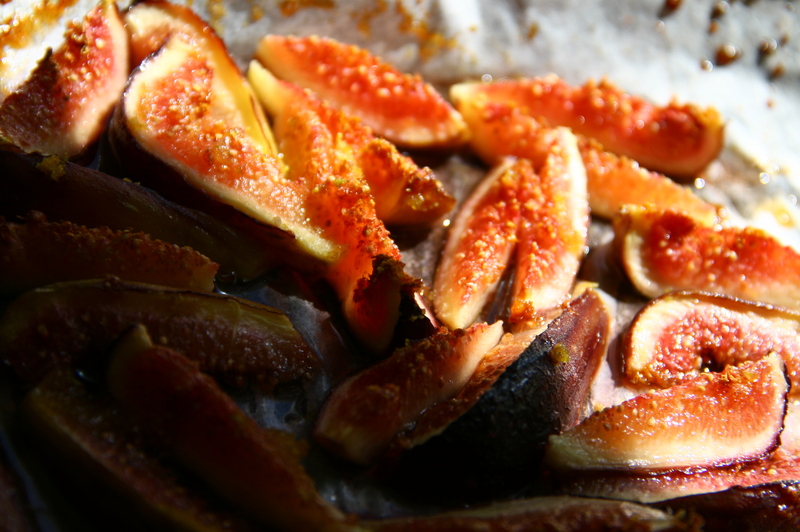 Honey grilled figs, just lay gently on a bed of French toast and dollop generously with Greek yoghurt. My idea of heavenly breakfast! Of course in reality, I just go to the supermarket like everybody else, rushed after a full days work to pick up milk, and in just a little nod of respect to buying fresh, maybe pick up some meat and vegies, wrapped under plastic for dinner. That sounds so much better than it is, in fact such is the life of a working mum, who can’t even make meal planning for the week, work for her. It was on one of these trips to the local Coles, rushing to the aisle where milk in plastic containers lives, that my eye was caught by this little jar with a handwritten shelf talker. Handwritten? In Coles? It says ‘Seasonal’ and I just happen to have a weakness for honey, (amongst many other things). Grab jar, drop in basket, keep walking very quickly. My fantastic orange blossom honey cake. Not strictly a chocolate cake but come on… Bliss!! It was all the inspiration I needed for a new seasonal cake. Melbourne really turned it on last week, teasing us with the possibilities of clear blue skies and bright sunshine. Spring has sprung (! ), or at least that’s what we thought when I bought the first box of antihistamine, for my hay-fever prone family. Daffodils are nodding, my magnolia has put on it’s fragile, short lived, display, and the sprawling jasmine is beginning to bloom. Strawberries and cream, my way! For me, the strong, heady perfume of jasmine has always been able to bring me straight back to long, balmy evenings spent in the garden. 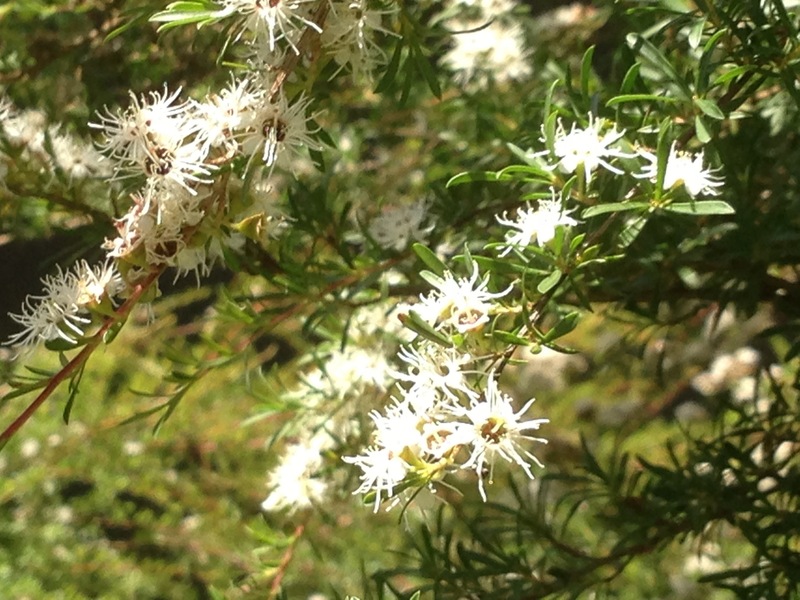 It is one of the Heralds and also one of the long standing Lords of Spring and early Summer in Melbourne. I will even trail long strands of freshly picked flowers in the house and in my car, knowing that there is a very strong possibility that my poor boys may suffer the consequences, just to prolong my nostalgic enjoyment for a few extra minutes! And, what of that other precursor of warm weather? The most classic of Spring/Summer fruits? Aaaah strawberries! Strawberries are already starting to make their appearance inmarkets . Although, these strawberries have probably come down from warmer Queensland, it is only a few short weeks away until Melbourne has it’s own harvest. Even though I will be able to buy farm fresh, strawberries from the market, I am most looking forward to October when I can head up to Ladybird Farm to get my hands dirty and pick my own organic strawberries for my new seasonal cake! So, what have I come up with this time ? When I think of strawberries, cream just has to tag along! So, I am hoping that it is how everyone else thinks too. 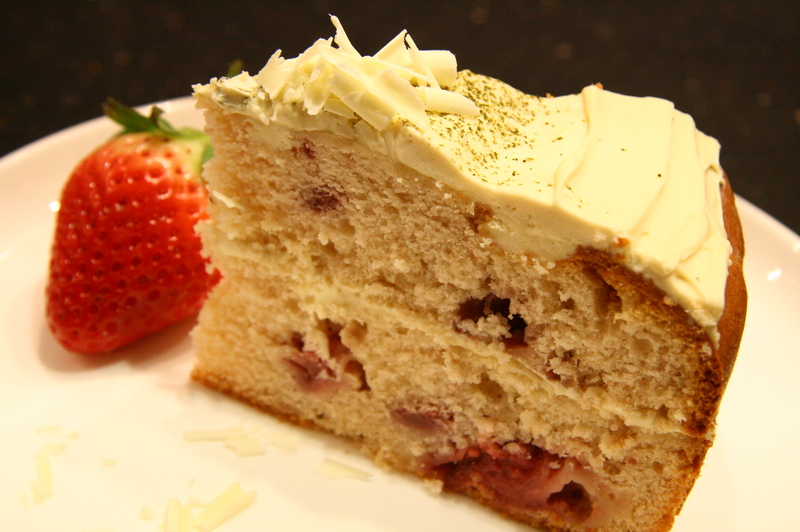 An entire punnet of strawberries, adding an aromatic sweetness to a moist, white chocolate cake. Bite into a slice to find generous amounts of chunky fruit, folded in for an indulgent fruity hit. 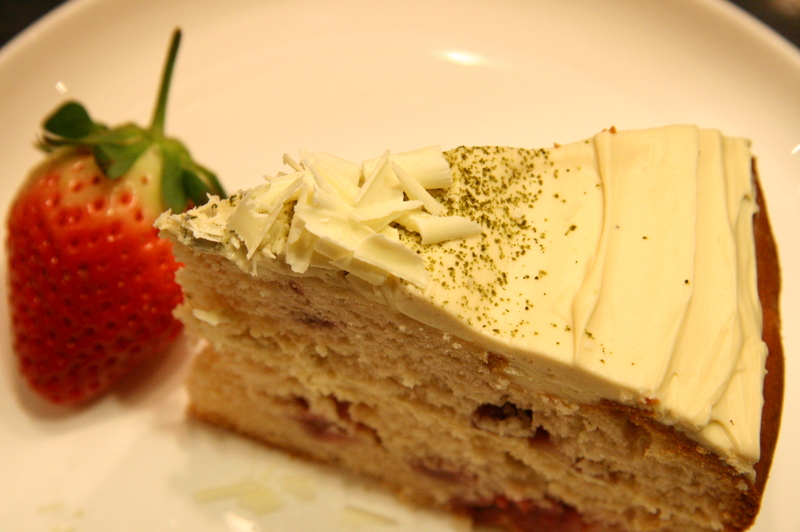 Topped with a smooth as silk, jasmine and green tea infused, whipped, white chocolate ganache, dusted with green tea macha and topped with a single fresh strawberry and white chocolate shavings. Perfect for sharing in the sunshine, and with Spring racing season coming, don’t forget the Champagne! Available 1st September-30th November 2011. My seasonal cakes may not be the same every year so I hope you take the time to enjoy them while you can! Padded jackets at the ready. 2 weeks before Winter is to officially begin and we are already freezing, snow on the mountains and frost on the lawns, but it’s that little snowflake that flashes on the car dashboard that drives home (sorry, pun intended) that it’s REALLY cold! When I need extra warmth, I know what I reach for other than a rather large doona and a mug of hot cocoa, it’s ginger. Ginger has been an Asian staple for centuries and used medicinally as well as in cooking. The heat adding properties do not stop at its spiciness but help to warm the body according to Chinese Medicine. I love ginger and have found that for those persistent winter coughs that just won’t budge, hot ginger tea with a big spoon of honey is just the thing to help stave off the hacking for a little while. Just, roughly crush and chop, a knob of ginger about the size of your thumb and steep it in a mug of boiling water (preferably in a tea infuser or else you will be spending a lot of time picking out bits of ginger from your mouth! 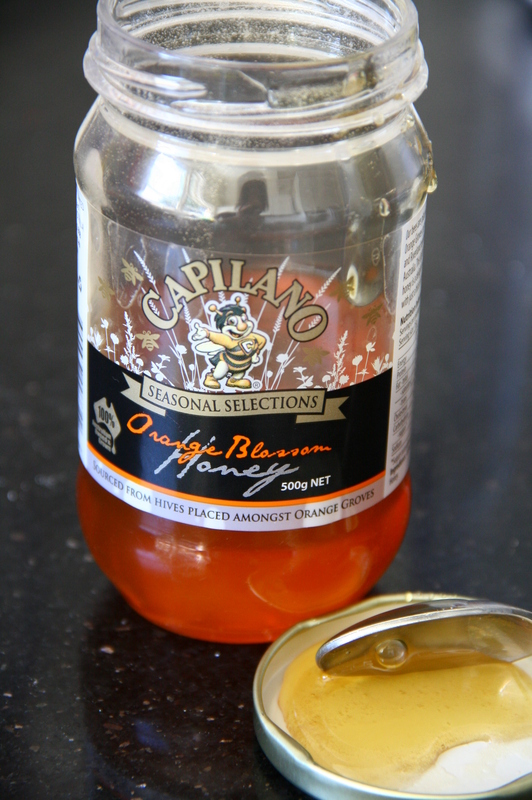 ), add a generous tablespoon of honey, cover and allow the flavours to develop for a few minutes. If you are up to a bit of stronger medicine, add a measure of Dom Benedictine. Sip slowly while wrapped up in your favourite blanket, seated in front of an open fire. On a more traditionally Aussie front, my sister and I still crave an Arnott’s ginger snap with a cup of milky tea , when we think of 4 o’clock. I can always tell the girl is back in Melbourne for a visit when I find an open packet of the old ginger snap biscuits in my Mum’s pantry! Gingerbread cake made with freshly grated ginger and fragrant with golden syrup is my major weakness as far as ginger goes, and as far as I am concerned, I don’t make it often enough. I used to follow recipes that used ginger powder and could never understand why you would use powder when fresh ginger was so abundant. Supposedly the powder is more aromatic but I love the flavour and texture of fresh ginger and always use it in my cakes. The other thing I never understood as a kid was my Mum’s weakness for chocolate coated ginger, such a weird combination! But, don’t we live and learn, I am sure my Mum is getting the last laugh now! So, is ginger winter seasonal produce? Well, tender, new young ginger has been making its appearance over the past month or so, at my local Asian markets, so I am going with YES! 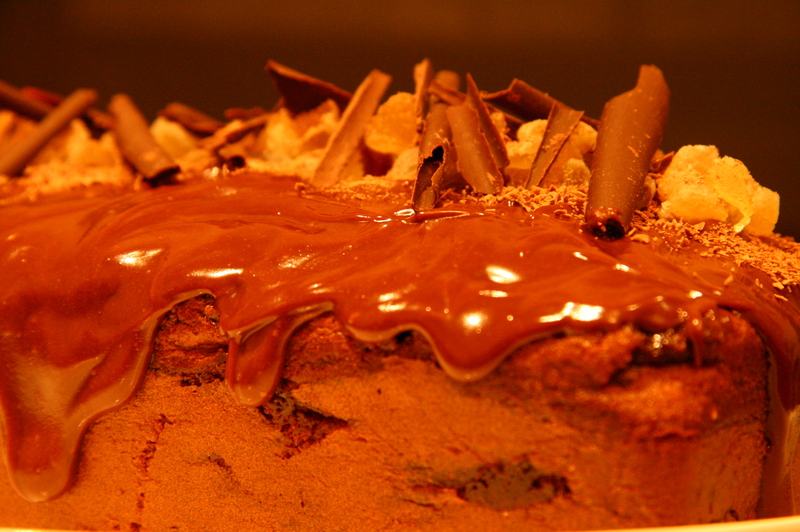 Chocolate swirled and chocolate topped, just begging for a cup of tea! seasonal cake. I just couldn’t go past gingerbread cake, and to make it completely indulgent I have swirled it with melted dark chocolate and ginger bits, draped it with a chocolate ganache and topped it all with Buderim’s ‘naked’ ginger and more chocolate, of course! Serve with a cup of steaming hot tea…ginger, or otherwise! 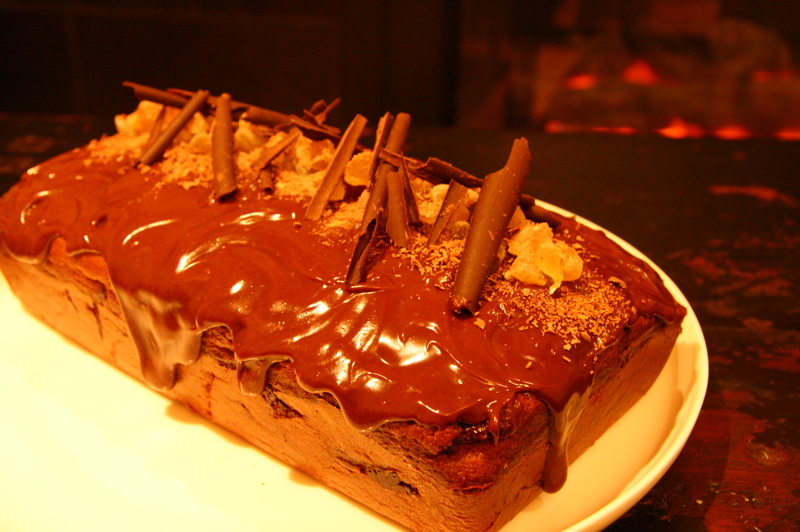 Chocolate Swirled Gingerbread Cake, now this is how I like to stay warm! 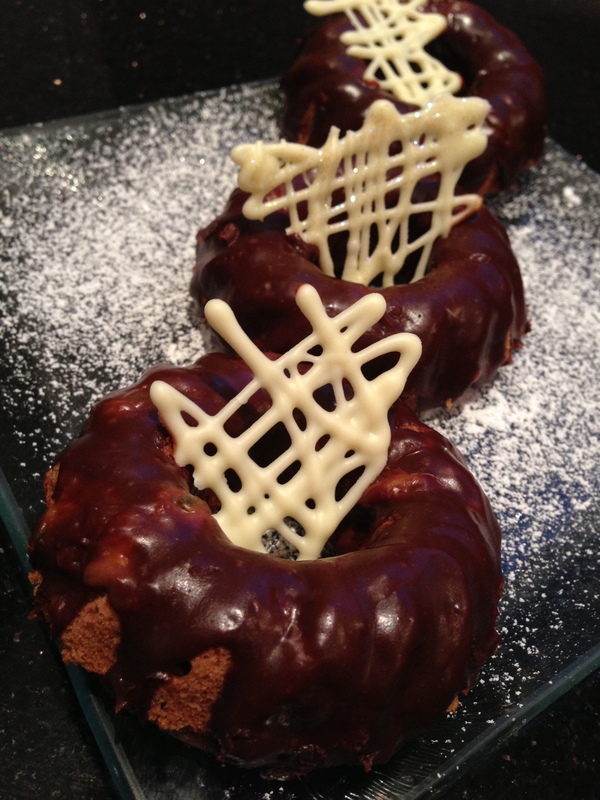 Dripping ganache, ‘naked’ ginger and…more chocolate! Available June 1st-August 31st 2011 only. Love a good wedding. Romance, good food and an excuse for new shoes! What’s not to love? I was hoping to do all of the above in London this year as it happens my cousin is getting married to his lovely fiance in July. However, who was to know that Wills would steal their thunder and announce that he should wed before them? As much as I am looking forward to seeing the photos of my cousin’s wedding, I have plans to be in front of the telly with a glass of Champers (yes, that word deserves a capital ‘C’) to watch every sparkly detail of the Royal wedding. I can’t wait to see the frock and most importantly I am very, very curious as to what kind of cake they have chosen. Do you think it might be a traditional cake? Sherry soaked fruit cake with lots of old fashioned piped royal icing decorations? I really hope so! No matter where I look nowadays I just can’t find piped royal icing of the kind that I used to marvel at on old school wedding cakes. I would spend ages just staring in bakery windows and even at the handiwork of the incredibly skilled amateurs who put their cakes in the glass cabinets at the Royal Melbourne Show. Now that was work that truly earned the name of ‘lace’, every strand as fine as silk and neat as a pin. Nowadays lace is often made by imprinting a silicone mould and using fondant, definitely a skill, and one I am yet to even attempt, but just not the same. I wanted to post a photo example of this kind of work but Google couldn’t find one! Does anyone out there still do the old school piped lace work that I remember? Please send me a post or link if you do, because I would ‘like’ it very, very much!! So, if it was up to me, what would I choose to bake for Kate and William? Something sophisticated, in the English traditional style but of course, it would need to be ‘Bliss-ed’. It may surprise some, but I would definitely go liquor soaked fruit cake, but not just any old recipe would do! A modern mix of persimmon, figs, currants, papaya and toasted slivered almonds, in a spiced cake base with a touch of Valrhona cocoa with maybe, a hint of preserved lemon, then I would have the whole cake soaked in the incredibly aromatic, Louis XIII XO cognac. After several days to allow the flavours to mature, I would scour the land to find a skilled hand to cover in fondant and pipe beautiful royal icing lace on every alternating layer, to contrast with the modern hand painted, tempered white chocolate collars on every other layer. Aaaaah fit for a Princess! Baking for William and Kate may be just a fantastical fairy tale but the least I can do is ensure that my cousin gets a taste of my imagination on the day of his, happily ever after! 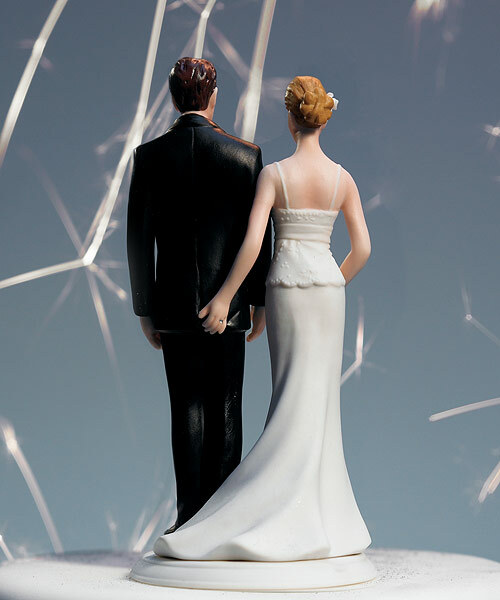 What is your fantastical, fairy tale cake?